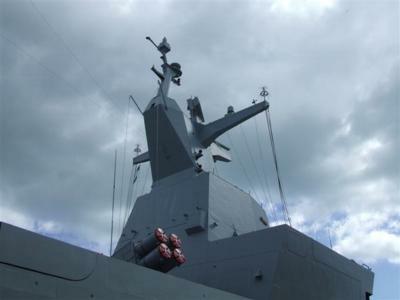 The eleventh Exercise Atlasur is fast approaching and the SA Navy is busy finishing final preparatory work ahead of the three nation naval exercise which starts on August 31. Atlasur is a multinational biennial exercise with Brazil, Argentina, Uruguay and South Africa taking part and taking turn to host. Argentina will not be part of this year’s Atlasur headquartered at Simon’s Town also SA Navy fleet headquarters. The theme of this year’s Atlasur is “combined we combat illegal trade” and indication of the importance attached by contributing countries to halting illegal trafficking of people as well as the illegal trade in drugs and arms on the high seas. From month-end to September 6 there is an alongside phase in Simon’s Town harbour followed by two sea phases. The first will be in the False Bay area from September 6 to 9 and the second from September 9 to 14 on the Cape west coast as well as False Bay. A second alongside phase in Simon’s Town harbour takes place between September 14and 17 after which the second and final sea phase of the exercise is scheduled for both the False Bay and west coast. September 21 sees the conclusion of Ex Atlasur X1. There are five objectives set down for Atlasur. These are to maintain, promote and build on previous operational and tactical co-operation between the Argentinian, Brazilian, Uruguayan and South African joint forces; develop and test joint/combined doctrine and standard operating procedures; exercise interoperability in a multinational simulated environment; test sustainment during a period of high demand; and to promote training of military personnel and provide joint force preparation training to SANDF elements.